I shared my fall reads list a while ago, and I thought it would be the perfect time to give a little update on how it’s going. To start off, the list should probably be named the Fall & Winter Reads List, because there’s no way I will get through this stack by the end of fall in December. So far, I’ve finished Good Omens and A Cloud in the Shape of a Girl. I’m currently reading The Dinner List, and it’s already hooked me. This book is based on the premise of having a list of people you’d want to have dinner with, living or not. 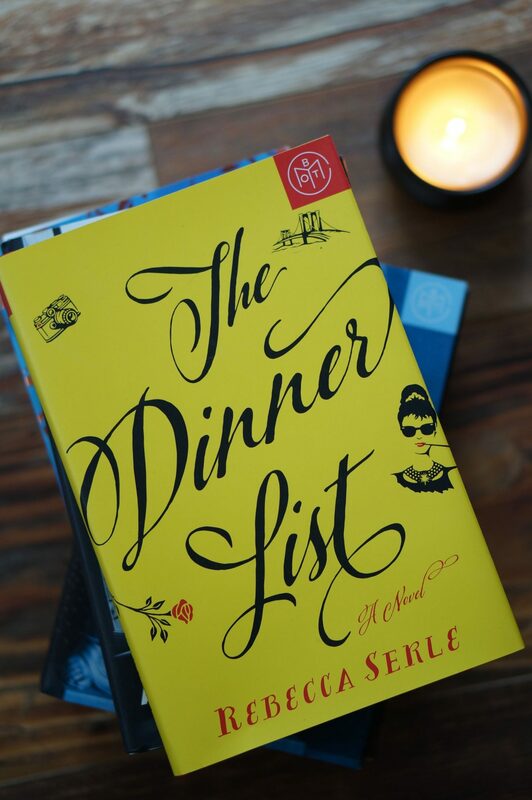 This story is about Sabrina’s list, and the book starts right off the bat with her walking into a restaurant for dinner … and five people are waiting to have dinner with her. Her table is filled with her best friend, three people from her past … and Audrey Hepburn. Although there’s not a lot of action in this book, since it is about a dinner, the story gets into the meat of the book right away. I was instantly hooked by this story. I hope to finish this book this week, so I’ll post a review as soon as it’s ready. As far as my next read from my fall reads list, it might be The Nightingale by Kristin Hannah. To be honest, the next few books on my list are quite hefty. December might be a low-book-review month for me. That just means January will have even more review for your winter reading pleasure! That’s about it for now for my current reads. I’d love to hear what you’re reading now. Do you have a list for the season or do you pick your books as you finish them? I’d love to hear how you organize your reading list!